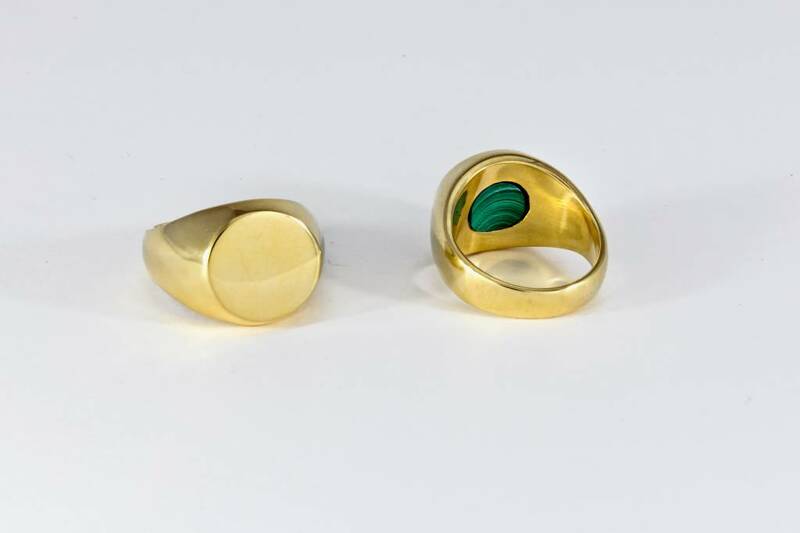 Special secret malachite inlay ring on brass. Size 6. 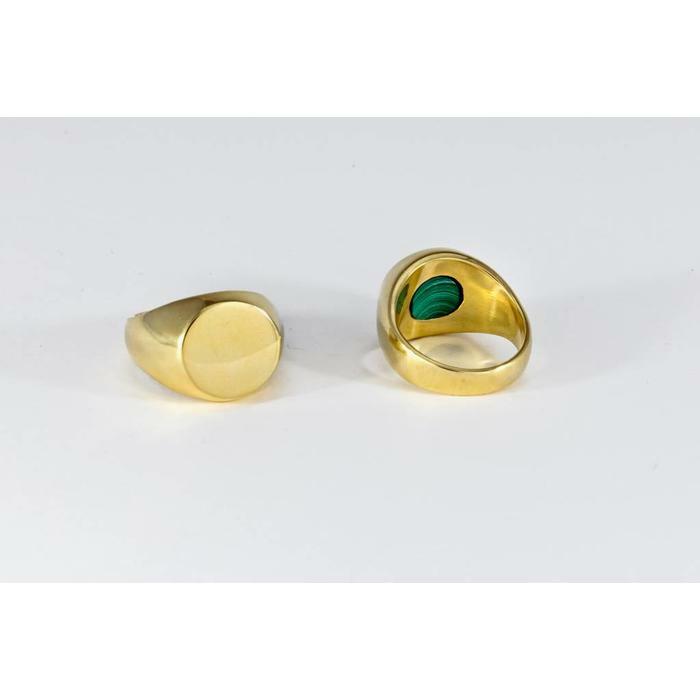 In ancient Egypt, Malachite served as a grounding force to help channel higher energies onto the planet. Astrologically associated with the sun sign Taurus as well as Capricorn, Scorpio and Cancer.